French postal workers are fighting attacks on their working conditions — and their mental health. In workplaces across the advanced capitalist world, the drive toward liberalization, privatization, and corporate globalization is taking a toll on workers’ mental health. In France, where conflicts over labor rights are at the forefront of public life, trade unions at the postal services (La Poste) are currently locked in intense negotiations with management over working conditions that have been linked to escalating levels of psychological distress among its 250,000 employees. 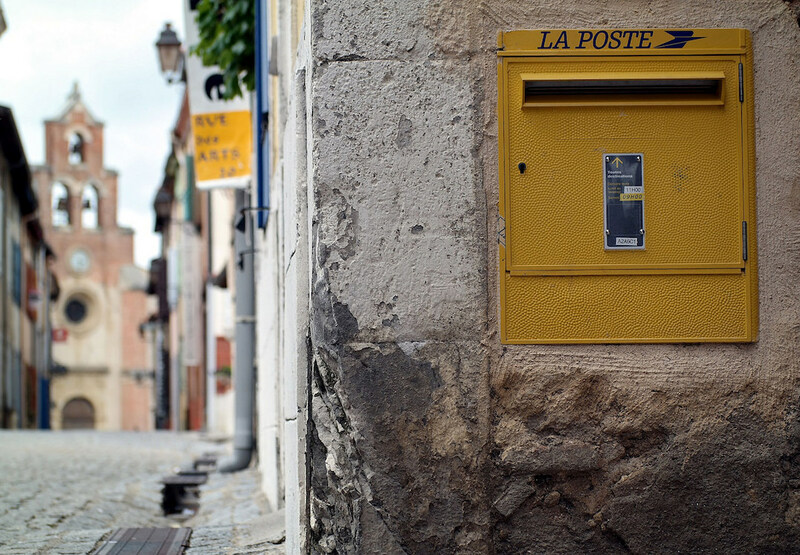 Like other European postal services, La Poste is undergoing profound restructuring in a bid to transform it from a public service into a profitable enterprise. CEO Philippe Wahl’s latest restructuring plan, launched in 2014, seeks to expand La Poste’s more lucrative commercial activities and massively cut staff costs. In 2015 alone, there were 7,500 job losses. And those who remain are under immense pressure to take on the work of the departed. On October 26, bosses at La Poste announced that all restructuring plans would be suspended to allow for talks with the unions. Their decision was prompted by the publication of an open letter signed by dozens of medical experts, who warned of a “rapid deterioration in the state of health of employees” that is generating dangerous levels of stress and, in some cases, worker suicides. His suicide is part of a similar trend in recent years, where postal workers have left letters blaming their job or working conditions for their decision to commit suicide. In October, a thirty-four-year-old postwoman facing disciplinary proceedings attempted suicide by taking an overdose in the office where she worked in Montpellier. At least nine postmen or women have killed themselves in the past three years. Other signs of despair are also on the rise, including levels of sick leave. All of this is at the center of the ongoing negotiations between unions and management. I recently talked to two trade union representatives involved in the talks. Régis Blanchot, from SUD-PTT (Fédération des syndicats PTT, Solidaires, Unitaires et Démocratiques), withdrew from the negotiations, along with two other unions and called a strike on December 8. Philippe Charry, who represents the more conservative union Force Ouvrière, has stayed at the negotiating table, together with three other unions. In addition to giving insight into the deteriorating working conditions at La Poste, the interview also underscores the strategic and ideological schisms in the French labor movement. Can you tell me a little about the current negotiations and what the position of your union is? We are demanding better working conditions for postmen and postwomen who are experiencing immense pressures in their working lives. We can no longer accept a position where management continuously increases their workload as jobs are cut. It is ordinary workers who are bearing the brunt of the economic and financial pressures facing the company. Now management wants to extend delivery schedules, and allow for all-day delivery or even delivery on Sundays. Postmen and women are being pushed to their very limits. We pulled out of negotiations because management is failing to address the fundamental issue of poor working conditions. Its strategy is to offer financial bonuses to incentivize postmen to deliver more letters or extend their working hours. This only helps a tiny fraction of employees and does nothing to alter the fundamental working conditions which are causing such misery. Only a show of force by postmen and women will push management to take our demands seriously. Management needs to review working conditions in a comprehensive way, and as trade unions, it is our job to push them to do so. We understand that postal services need to become profitable in order for the company to survive in a competitive economy, but this should not be done on the backs of employees. We are calling for a rigorous monitoring of the workload of postmen and women, so we can prevent them from experiencing escalating pressures, as their workload is incrementally increased. We will stay at the negotiating table to find a solution on behalf of our members. A strike is unlikely to achieve much and may only attract 1 to 2 percent of the workforce. By pulling out of talks, some unions are weakening our position and preventing us from putting forward a united front on behalf of all postal workers. In recent years, there have been a number of well-publicized suicides by French postal workers. What’s going on? In France, farmers have the highest rate of suicide of any occupation, but we don’t hear about this very often. Suicides at La Poste are less common, but have attracted intense media attention and political controversy. This is partly to do with the way the suicides have taken place, with victims leaving letters blaming work or others choosing to kill themselves in a very public way. For instance, there was the case in March 2012 of a forty-two-year-old manager who was on sick leave who made the decision to return to his place of work on a Sunday to kill himself. He left a letter blaming workplace pressures as the cause of his actions. In his act of suicide, the victim sought to make the connections with work very clear. The media have of course been interested in these cases and have sensationalized them. Suicides also attract attention because postal services are a former state utility in which the government is still the main shareholder, and is therefore implicated in what is going on. We must remember that the French public is very attached to La Poste, and sees this as a symbol of the Republic’s long public service tradition. After the baker, the postman is the second-favorite occupation amongst the French public. It’s really important that we don’t treat suicides as a kind of barometer for workplace conditions. There can be significant problems with physical and psychological hardship in work without a single suicide taking place. Yes, suicides are a manifestation of extreme suffering that may be linked to work, but we need to focus on improving workplace conditions and not on the suicides themselves. It is often impossible to know whether a suicide has been caused by personal factors or by work, and it is better to reserve judgement. There are other factors which reveal the social crisis at La Poste, such as rates of sick leave, which are much higher than elsewhere. So suicide should not be considered in isolation from other workplace problems. How have you responded to the suicides taking place? Have you worked with the media in bringing suicides to public attention? Yes, we have worked with the media and passed on letters written by suicide victims and testimonies by family members. We have worked closely with the son of the postman who killed himself last July, and we have put forward his perspective to the media. We are also working with the widow of a senior communications manager who killed himself in February 2013 who is engaged in protracted litigation proceedings against La Poste. We also supported the family of the manager who killed himself in March 2012 in its case against La Poste. A judge ruled that the suicide was a workplace accident and that La Poste was therefore liable to pay financial compensation, but La Poste has appealed the decision, stating that this was not a work-related act because the victim was on sick leave at the time of his suicide. Media coverage is important in bringing these cases into the open and challenging bosses who often attempt to individualize suicides and attribute them to personal or familial difficulties that have nothing to do with work. Trade unions are increasingly required to work with the media, but also with legal and medical experts in demonstrating the connections between work and situations of severe psychological distress. We are very cautious in our dealings with the media. The French press has tended to sensationalize suicide cases and treat them as individual dramas without looking at the working conditions that may have given rise to them. I’m convinced that some of the suicides at La Poste were triggered by media coverage of earlier suicides, as a result of a copy cat effect. Our union has letters and testimonial evidence, but we haven’t taken them to the press. La Poste isn’t in denial about the causes of the suicide, so media coverage isn’t going to alter their position. Isn’t the crisis at La Poste also about a conflict of values and identity and not just material conditions of work? Yes, absolutely. Liberalization and restructuring have created a clash between a world of public service, where the postman saw himself as a representative of the state and was committed to values of fairness and equality, and a world of money where the only thing that counts is getting a sale. Management has driven forward a logic of economic profitability, whilst many postmen see themselves as belonging to a culture of public service. Some of our members work in post offices in tough neighborhoods where they help disadvantaged citizens by providing advice on social benefits and helping the public. Few of their customers have any spare cash in their pocket. Yet work performance is measured not on the quality of their service, but on how many products they have been able to sell. In some post offices, employees have refused to toe the line and see this commercialization as an abuse of their public service status. Yes, postmen are now being asked to provide all manner of services, including visiting the elderly, delivering shopping, reading electricity meters, or filling out insurance claims. Some experience this new multitasking role as a kind of debasement and humiliation. We need to remember that La Poste is a company that is cherished by the French public, as survey after survey has shown, and this is because of the personal contact and daily interaction of the postman with the general public. In some remote areas of France, the postman might be the only person that a resident sees all day. At La Poste, employees have relatively strong social protection and are well represented by trade unions. Why has there been a deterioration in working conditions? La Poste traditionally recruited public service employees, or fonctionnaires, who benefitted from strong social protection in terms of job security and benefits. But we have to remember that La Poste no longer recruits fonctionnaires, and new employees are taken on solely on private contracts. Public service employees are now in the minority. Most of La Poste’s employees don’t have better social protection than those working for a private sector company. At the same time, because fonctionnaires are protected and can’t be legally fired, they have come under immense pressure from management to increase their workloads, extend their hours, and take on more commercial activities. They have been targeted by restructuring processes and by the drive to increase profits and cut staffing costs. The strong position of trade unions at La Poste has meant that we have been able to negotiate with management throughout the restructuring process and ensure that workers’ rights are protected. Every phase of company restructuring has been accompanied by close consultation with the unions. Following a peak of suicides in 2012 and an investigation into working conditions launched by management, we were able to sign an agreement with management on working conditions. Nonetheless, restructuring has profoundly transformed the status and working lives of thousands of postal workers, and we haven’t been able to protect them against the effects of those changes. This is a transformation of both material and cultural conditions of work, and the latter is more difficult to challenge. We are now back at the negotiating table once again, but our current position isn’t helped by division amongst the trade unions. We need to come together and create a united front to defend our members’ interests. Sarah Waters is a senior lecturer in French studies at the University of Leeds.